They say you can tell a lot by the company one keeps. Similarly, you can tell a few things about the Bureau of Automotive Repair by the jobs that they advertise, and the ways that they describe those jobs. Now, in the spirit of happy blogging, we’re very keen on being tongue-in-cheek here. They’re just doing their job as hard-working California government employees, and we’re just hard-working attorneys defending hard-working station owners and SMOG check technicians to preserve their licenses and their livelihood in the Golden State. Everyone’s gotta have a job, and everyone’s gotta work, right? This consolidated series specification describes three levels of classes that train, plan, organize, and direct a staff of clerical employees who perform a variety of general office and related clerical support tasks, including functions as typing, stenography, filing, accounting, cashiering, statistics and others. If a separate class for a specific specialty is required at any level, this can be accomplished by use of the core specification with the specialty indicated in parentheses following the core class title. (Source: http://www.calhr.ca.gov/state-hr-professionals/Pages/1141.aspx). Again, it’s a bit obtuse for the average person. What’s the take-away? The take-away (besides the decent salaries) is that the “culture” of our state government is pretty obtuse and pretty legalistic. 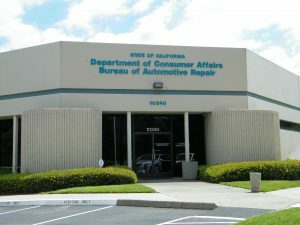 So when you receive a letter, citation, or other correspondence from the Bureau of Automotive Repair, it makes sense that it’s written by lawyers, for lawyers. When you attempt to speak “common sense” in explaining your side of the story, it will pretty much fall on deaf ears. You need a translator, which would be a skilled attorney who can “speak the language” of government.